A strong contender for the most brutal rejection letter of all time has been found, almost 90 years after it was written. The letter - penned by Sydney publishing house Angus & Robertson on April 10, 1928 - was addressed to aspiring poet Frederick Charles Meyer. Meyer, a New Zealander living in the Blue Mountains town of Katoomba at the time, had apparently submitted a poetry sample to the bookseller. 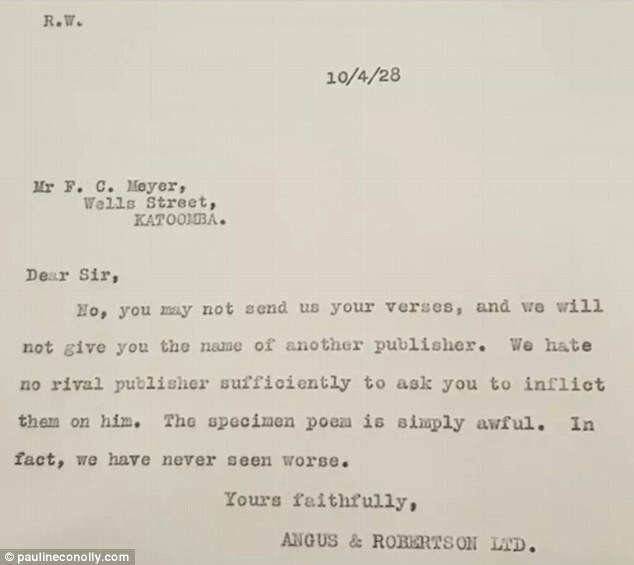 Angus & Robertson was scathing in response, not only telling Mr Meyer he could not send any more of his poetry, but also refusing to refer him to another publisher. 'Dear Sir,' the letter begins, the polite tone leaving the reader unprepared for the savage content to come. 'No, you may not send us your verses, and we will not give you the name of another publisher,' the letter continues. 'We hate no rival publisher sufficiently to ask you to inflict them on him. The specimen poem is simply awful. Seemingly undeterred by the rejection, F.C. 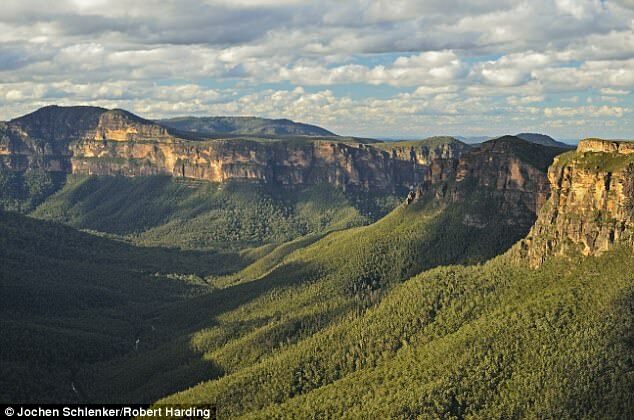 Meyer published a book of prose the very next year, titled Pearls of the Blue Mountains of Australia. He followed that in 1934 with Jewels of Mountains and Snowlines of New Zealand, mentioned in a bad poetry competition run by Scoop magazine in 2001. 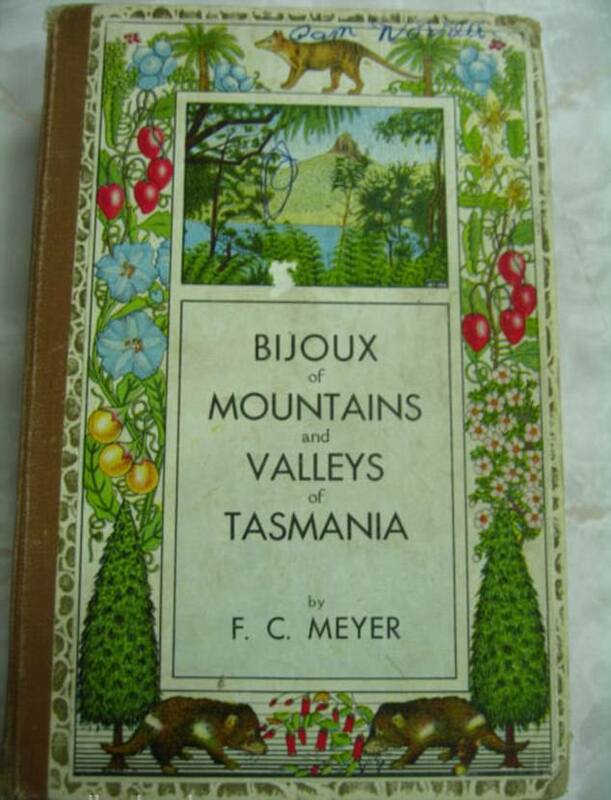 Meyer's last published work, Bijoux of Mountains and Valleys of Tasmania, came out in 1940.